I should start by saying this deal expires at the end of the day (10/22, midnight EST), so you’ll have to move fast. 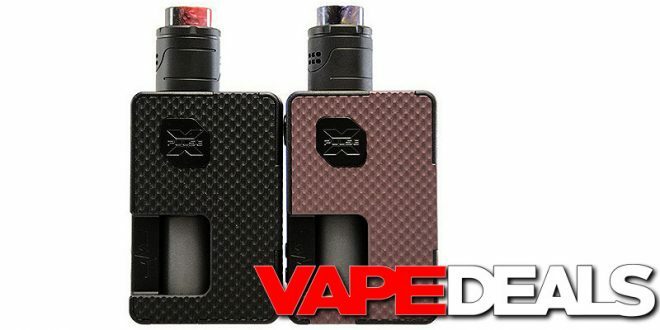 MFS is selling the new Vandy Vape Pulse X Squonk Kit for only $52.76 when you apply coupon code “20OFFNEW” at checkout. This is the version with the G10 panels, which usually costs a few dollars more (other US vendors are charging $65 – $75). You could also upgrade to the High-End Version (includes a refill bottle) for about $3 more…but that one only comes with the frosted panels. I’ll leave both links below so you can decide which deal works best for you. MyFreedomSmokes offers FREE shipping on orders over $75, or free shipping on EVERY order if you have an AMPD account.